(From left): Zerbanoo Gifford, Farida Master and Meera Gandhi. Photo: Mohammed Jaffer-Snapsindia. NEW YORK - It’s not very often that a biographer and the subject of the biography come together at a historic home, in Manhattan, that has had former presidents and iconic powerhouses converge at the beautiful venue. In this case, it was the stately home of humanitarian and social innovator Meera Gandhi, which once belonged to the longest serving first lady of the United States, Eleanor Roosevelt. 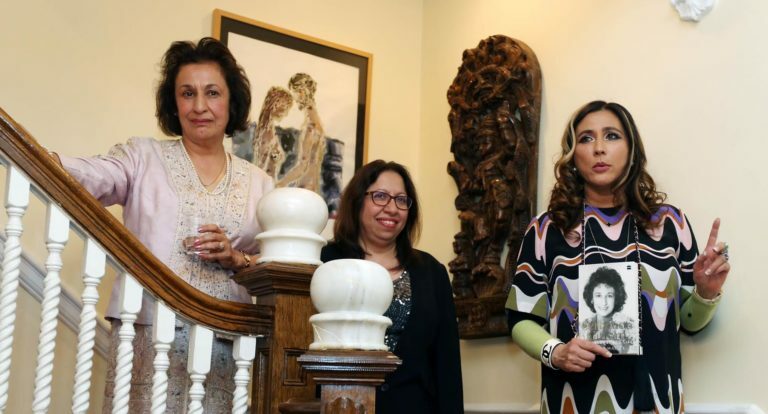 Zerbanoo Gifford, the UK-based human rights campaigner, women’s champion, former politician, author and founder of the path-breaking ASHA Centre in the Forest of Dean in England, gave a talk and interacted with guests at Gandhi’s house, on May 23. Accompanying Gifford was New Zealand-based journalist Farida Master who has authored the biography 'Zerbanoo Gifford â€“ An Uncensored Life’, published by HarperCollins. The biography, which was launched with great fanfare at the Times Litfest in India and later in New Zealand and Singapore, has been celebrated all over the US the last few weeks. In an interesting social experiment, Gifford and Master reached out to diverse audiences as they shared anecdotes from the pages of Zerbanoo’s life that found an interconnectedness with different cross-sections of society in Los Angeles, Houston, Chicago, Washington DC, Philadelphia and New York. The idea behind it is to exchange stories that empowers people, builds communities and hope. From brilliant minds at NASA, Goddard Space Centre in DC to academics at George Washington University, Turkish women in Houston, the Zoroastrian communities in Los Angeles, Chicago and New Jersey, high profile social entrepreneurs in Philadelphia and the literary circle in New York, everyone was captivated as the central character of the book in her indomitable way came alive to redefine success and pushed people to stand up and make a difference even when the going gets really tough.